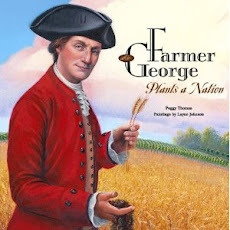 From the New England Society of Children's Book Writers and Illustrators. Hello from the New England SCBWI conference in Springfield, Mass. I love when ideas swirl in the atmosphere and effervesce in one place and then another. 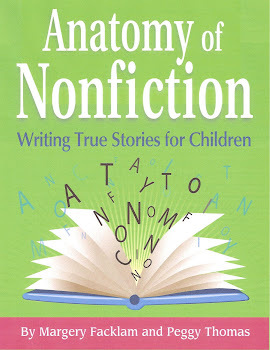 Yesterday, I led a workshop on voice in nonfiction and was delighted to see so many faces in the audience. I had them create an Image System (basically a vocabulary list of words pertaining to a specific theme or subject), and suggested that they practice my daily Haiku writing exercise to strengthen descriptive muscles. Today, Sharon Creech talked about poetry and how disparate ideas connect to create something new. Her novel in verse, I Love Dogs, features Alfred Lord Tennyson's poem, The Eagle. Then I went to Leslie Bulion's (http://www.lesliebulion.com) workshop on poetic form and she featured The Eagle. I suppose it's not mind bending considering I am at a writer's conference, but I've been exploring poetry recently -- even participating in the Oak Orchard Review Poetry Open Mic Night to celebrate April as Poetry Month, so it is reaffirming my search for the creative right-brained stories that lurk inside of me. Last year, at this very conference, I was told by an agent that I needed to loosen up -- to turn left when I wanted to turn right. So today, I look back at that cross roads with a sigh and look forward to the right, to the stories that need to be told. Where's my cup of tea?